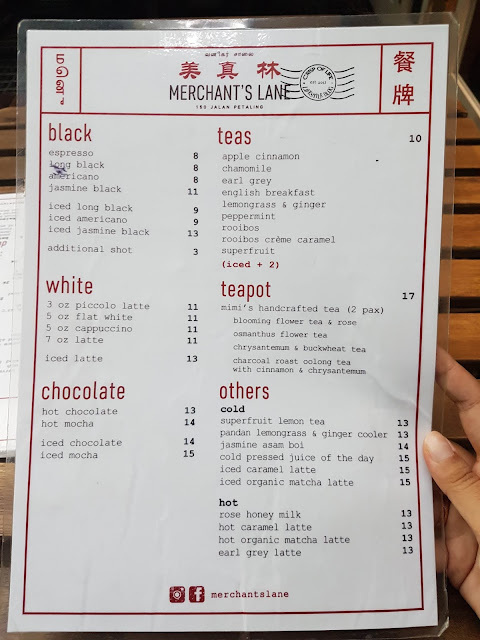 Conveniently located nearby to Petaling Street, Merchant's Lane is a cafe that showcases the local charm in a modern setting. It took us some time to located the entrance to this "secret" cafe, as it is located on the second floor and the staircase is located beside a stationery shop - Kiat Leong Stationery & Trading. Still maintaining a pretty much untouched wall paintings, Merchant's Lane has a handful of Instagrammable hotspot and it is a norm to see patrons moving here and there then make picturesque poses. 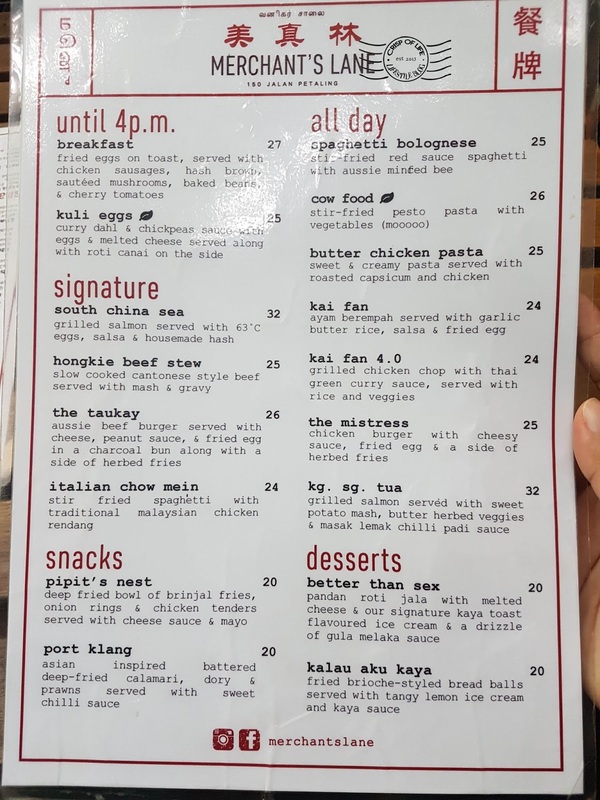 Food menu is skewed toward an Asian fusion menu with choices such as burgers, pasta, grilled chicken and etc but the thing that caught our real attention is their cakes. On a personal Burnt Cheese Cake (RM 16) is dessert that we found it to be special. We were told it was a housemade, and the definition burnt introduced a slight pleasant caramelized taste into the rich and dense cheese cake. A piece of wonder to enjoy. It is noted half of the cake was grabbed by customers when it is being put on selling tray. There are a mixture of positive and negative remarks on the food here but our experiences were alright. We tried The Taukay (RM 26), an Aussie beef burger served with cheese, peanut sauce & fried egg in a charcoal bun. Patty was succulent and the portion of the burger was big, and we reckon a lady would find it tough to finish the whole burger. As we did not try the other food, comments on the food were reserved. Coffee was good but not great. It did make some good caffeine fix of the day.